The school was situated approximately 6 miles E of Merino on the S side of the Tahara-Grassdale Rd on a Hill known as School Hill. In 1900 part of Tahara and Gypsy's Valley Estates were sub-divided and sold privately. The new settlers pressed for a school, the nearest being Tahara about 5 miles away. Grassdale closed school was moved to Tahara West. 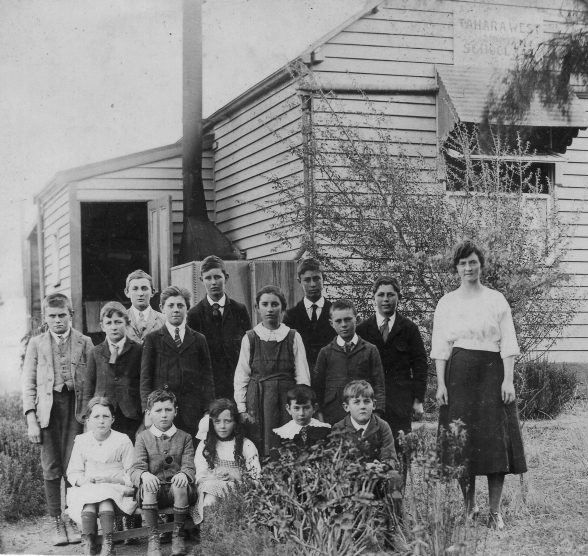 HT Ruby McINTYRE enrolled 25 children, including some older ones who had no previous schooling. 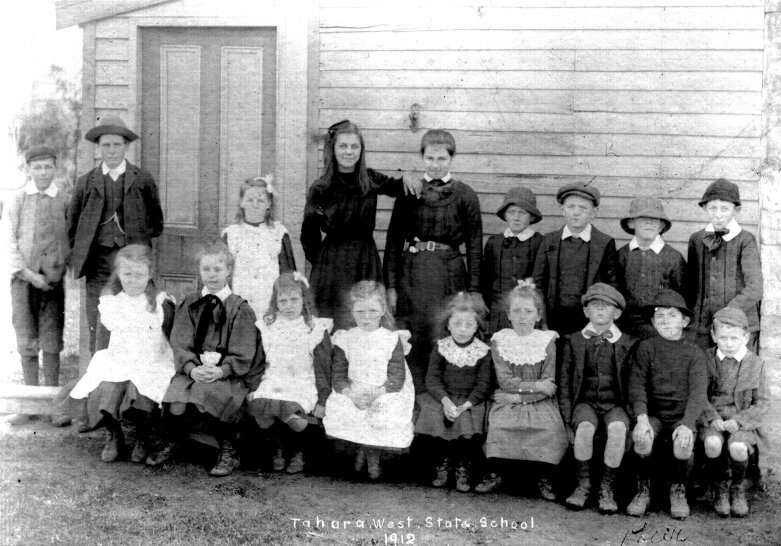 Enrolment gradually declined and in 1912 Tahara West was worked part-time with Henty. In 1916 it was again full-time but in 1934 attendance fell to 8 and the school closed. The residence, school and land were all sold; trees on the old site are the only evidence that a school existed. Since 1949 children in the Tahara West area have travelled by bus to Merino Consolidated School.